The destruction of Notre Dame Cathedral on April 14th 2019 has sparked a series on rebuilt structures. Of all the rebuilt places in Europe, Warsaw remains the crown jewel. During WWII, the city was decimated by the Germans, helped along by the Soviets (through inaction). 85%-90% of the city was flattened into shapeless rubble (largely a punishment/result of the Warsaw Uprising against the Germans). Most of the people of Warsaw were gone or dead – those who remained hid underground in the rubble. When the city was being rebuilt by teams of everyday Warsaw residents (with the “help” of the Soviets), debates ranged – how should we rebuild it? Should it look like it once did, or do we rebuild it using modern styles, or something in between? But the Polish and the Varsovians in particular are proud, and they wanted their city back – the same city they’d had for generations. The decision was made then to rebuild Warsaw as it was before. But how to do that? Luckily, though much was lost and the city itself was a pile of broken rubble, some of the blueprints had been saved by architecture students. Paintings that had been hidden away too were used, as were memories in some cases. Can you imagine? That door painted blue simply because someone remembered it being like that. 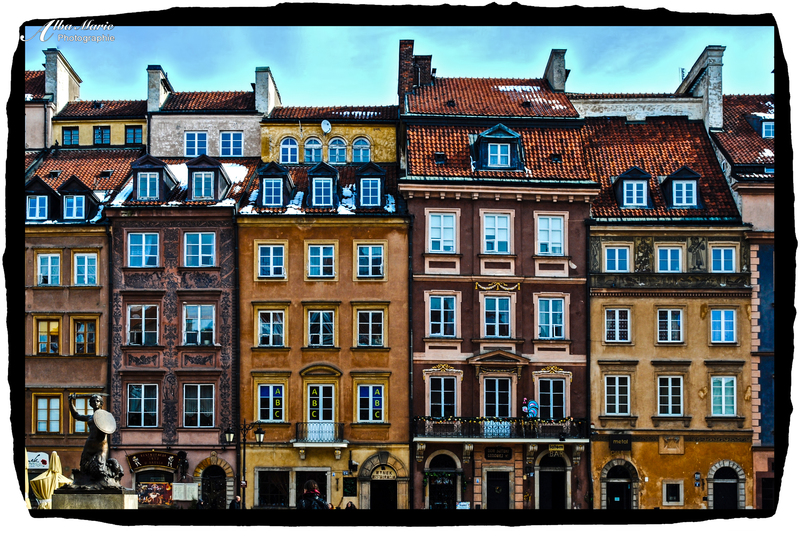 In any case, Warsaw’s old town and new town were rebuilt in all their former glory – resembling the 18th and 19th century paintings used as a model more than anyone ever imagined possible! Today, the city centre of Warsaw (the whole city in fact) is less than a century old though you’d never know it. Authentic in its spirit, beauty, history and resilience, it is a testament of what can be accomplished through the pride, sweat and gumption of the residents who call this wonderful city home. Pro tip: Interested in learning more about this period? Visit the Uprising Museum. Walk the streets of the Wola district and keep your eyes out for the markers in the sidewalk showing where the Warsaw Ghetto once was. In town, try eating at one of the traditional Milk Bars – the kind of eatery where workers of 20th century Poland would have eaten. Torun, Poland does not want for churches. In fact, they seem to be everywhere. The Holy Trinity Church, erected in 1824, is viewed here from the gate of medieval St James’s Church, while other spires and steeples rise not far away – including the squat red-brick towers of Toruń Cathedral. Ironically, the 13th century medieval city is the birthplace of noted scientist Nicolaus Copernicus, who lends his name to Toruń’s university (you’ll find a large statue of him on Warsaw‘s Krakowskie Przedmieście Street). Noted for his contributions to our understanding of the solar system by placing the Sun at the centre, the “forward-thinking” Church issued a prohibition against his Copernican theory, leading to the condemnation of a “heretic” we know today as renowned scientist Galileo Galilei (Thanks Christianity…!). On a happier (and tastier) note, Toruń’s other claim to fame is that its famous for its gingerbread (or “pierniki” in Polish), which bakers began to produce in the 1300s. You haven’t tasted gingerbread until you’ve been to Toruń – and whether you think you like the it or not, you will love it after tasting this soft and delicious pastry in this magical city! 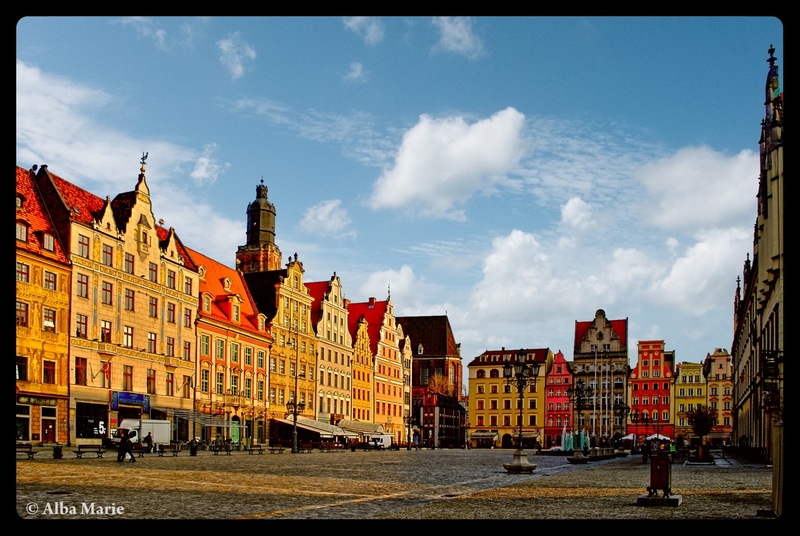 Due to a vague agreement to swap recipes in return for new ones, Toruń instigated a competition with the German city, Nuremberg. As each city rose to individual fame, the secrets of their recipes became more guarded. Knockoffs were created and sold all over Europe. However, to this day, one needs only try Toruń’s gingerbread to recognise its authenticity (modern day Toruń gingerbread follows traditional 16th century recipes…). Perhaps tasting Toruń’s magical gingerbread will inspire you to try your hand at making your own plate of gingerbread biscuits! Pro tip: You can buy pierniki toruńskie throughout Poland, and while quite good compared to non-Polish gingerbread, you can’t leave Toruń without visiting one of the local shops for the freshest gingerbread. One such place is Torun Żeglarska 25, though up and down Żeglarska Street, Piekary Street, and the Old City Market Square (Stare Miasto) you’ll find gingerbread specialty shops. This article was originally posted in June 2013. It has since been updated, revised and rewritten. Built in 2011 to house the 2012 UEFA Europe Cup, Stadion Narodowy or the National Stadium is Poland’s biggest – with seating room for around 58,000 spectators! (Other UEFA stadiums included Poznan, Wrocław, Gdańsk and Kiev). Red and white like the Polish flag, is has a retractable roof (Poland can get chilly and snowy at times as seen in the image! 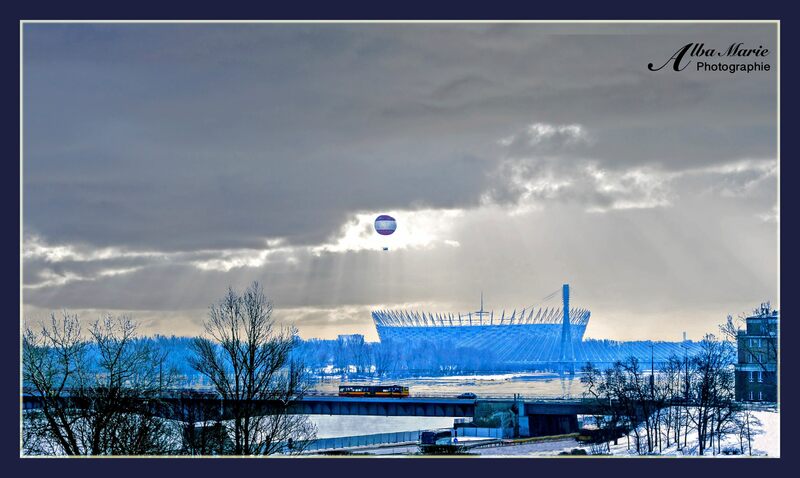 ), and stands proud on the Wisła River, one of Poland’s (and Warsaw’s!) main arteries. Located in the Praga district, this once-seedy area of the city has seen fantastic urban revival in the past decade, and is now one of Warsaw’s hippest new neighbourhoods with the modern architecture of Stadion Narodowy the crown jewel. The Polish people are enormous football fans, and very proud of both their national teams as well as their own local teams (friendly rivalry between regions is common!). On a games night, the National Stadium, and indeed much of the Praga district, explode and rock with noise, support and red and white flags! One of the best ways to connect with the Polish and immerse yourself in the culture no matter how brief your visit, is to catch a match with the locals! Stadion Narodowy is the best place to watch as nothing beats its ambience, but if you can’t get there, don’t worry – head downtown to one of the many sporty bars to see the match and root for the national team! Pro tip: Even if you don’t manage to get a Polish football jersey, be sure to get yourself a Polska football scarf before your match! Not only are you showing your support, it makes for a great souvenir! Looking for more Warsaw travel ideas? Snowflakes fall softly on the colourful facades of Poznan’s Stary Rynek (main square). 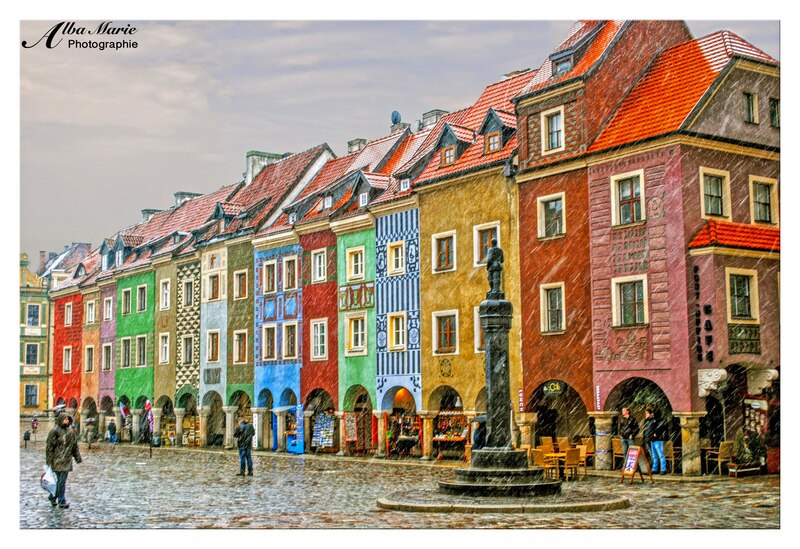 Vibrant and beautiful, Poznan is one of Poland’s most lively towns rain or shine or snow. Centred on the Stary Rynek, Poznan’s old town was once a walled city though the walls were sadly taken down to expand this growing city in the 1800s. In the centre of this magnificent square is the Ratusz, or the Town Hall, the pride and glory of the city of Poznan. On the clock tower there are two goats, referring to a legend involving burnt dinner, an angry lord, a desperate cook, a couple of escapist goats (read more here), which chimes every day. 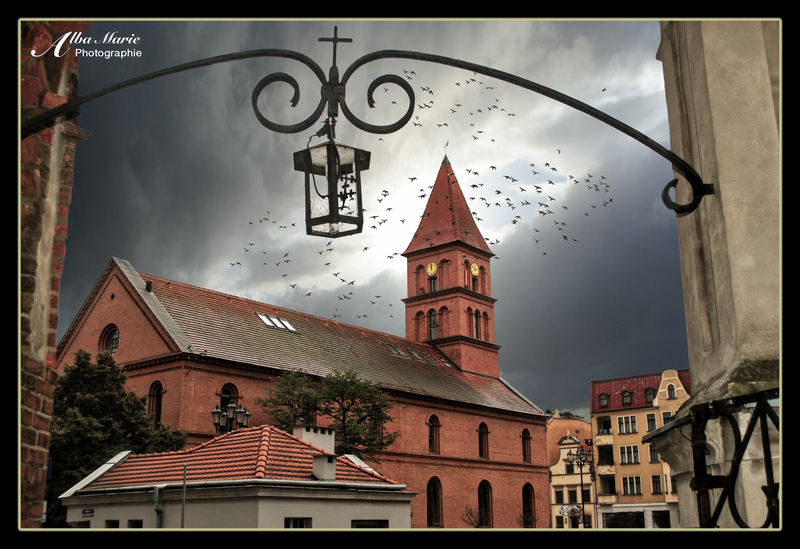 Besides the to-die-for architecture, Poznan offers many museums, monuments, churches and cathedrals. There are dozens and dozens of eateries, restaurants, cafes and bars. 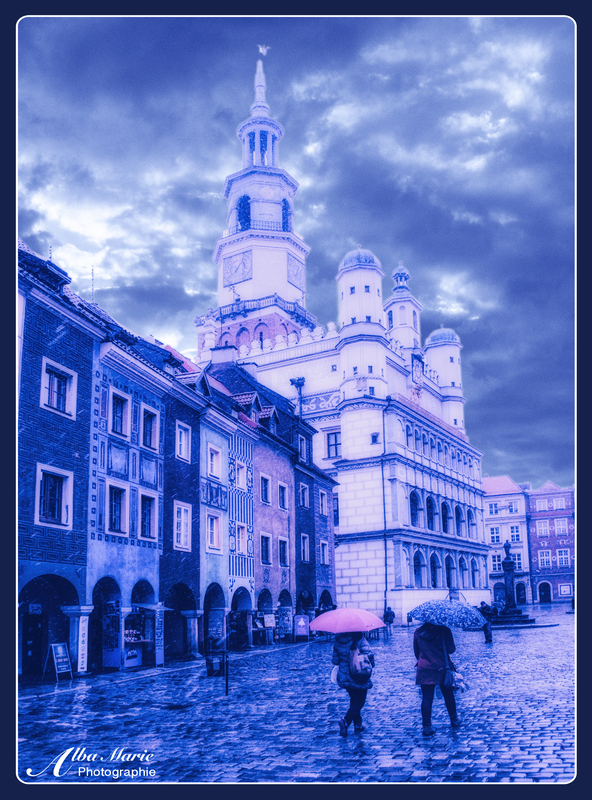 Poznan also has a significant student population which goes hand-in-hand with a thriving nightlife. Visit the many bars to taste the local beers and liqueurs as well as the local cuisine! Pro tip: For an easy way to try a few of the local beers, head to Brovaria just off the main square – a guesthouse, restaurant and brewery all in one! Order their “taster menu” to sample a few of their different wares. Poznan is only about 4 hours from Warsaw via public transport (see Polish FlixBus or PKP trains), but merits an overnight stay! The fantastic Jabłonna Palace (pronounced yah-bwoana) inhabits a lush, green estate-turned-park on the outskirts of Poland’s capital of Warsaw. Built in a joint neoclassical and baroque style in the 1770s by the Polish King Stanislaw’s brother, it was meant from the start as a stunning royal palace and park complex to stun and awe Poland’s elite. Like most of Warsaw – and Poland – the building is newer than it looks. Jabłonna Palace was burnt by angry Germans in 1944 and the resilient Polish of Warsaw reconstructed it as accurately as possible in the years following the war. Today, Jabłonna Palace’s beautifully Baroque ballroom, elegant dinning areas and classy guest rooms regularly hold concerts, art exhibitions, scientific shows, conferences and – you guessed it – weddings, as well as being open to the public. Even if you aren’t attending a wedding or concert, the grounds of Jabłonna Palace make for a great escape to the outdoors. Offering a much-needed breath of fresh air from the hustle and bustle of Warsaw, Jabłonna Park is a perfect place to spend a spring or fall day to jog, stroll, picnic or simply relax. Poland’s Central Park, Łazienki Park (pronouced “wa-djane-key”), or the Park of the Royal Paths, meanders serenely through the urban jungle of central Warsaw. Designed in the 17th century by a local nobleman, one century later it was reconfigured to fit a king – King Stanislaw August, to be exact. Palaces, follies, monuments, statues, lakes, bridges, and forest paths were installed in all the royal might Warsaw could muster. Though royalty in Poland has long since ceased to be (in fact, Poland itself ceased to be for a whole 123 years! ), Łazienki Park is still there, a little less royal and open to all us common folk, but an amazing park nonetheless. Populated by semi-wild peacocks (yes you read that correctly!) who wander through the park’s 76 hectres, the park is a special place. In the summer, it hosts open air Chopin concerts (because yes, Chopin was Polish!). And in the autumn, it erupts in vivid splendour – flames of yellow and orange, gold and red. 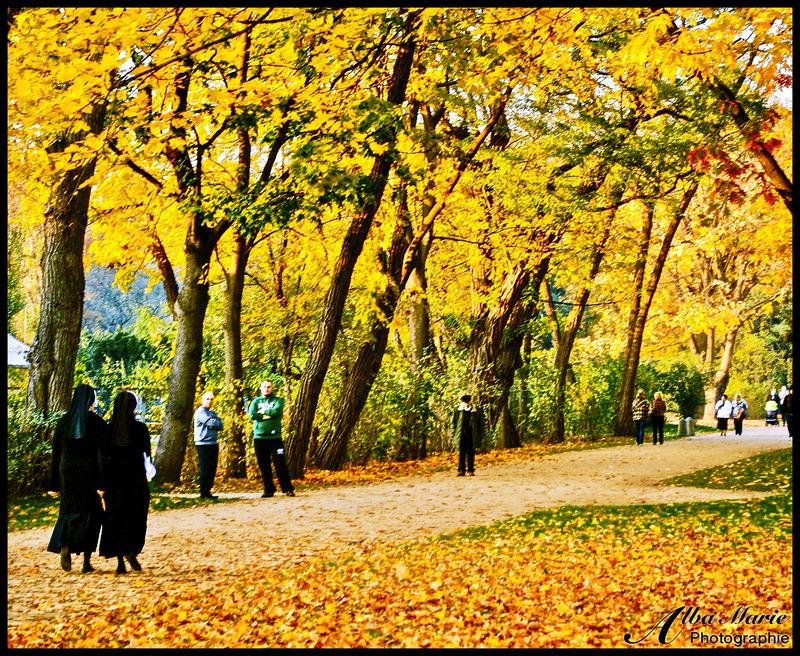 Łazienki Park is a lovely place for a stroll, a picnic, a day at the park, a concert or a bit of sports and exercises – but it is loveliest in autumn amongst the golden canvas. There are multiple mermaid statues flopping their way through Europe. 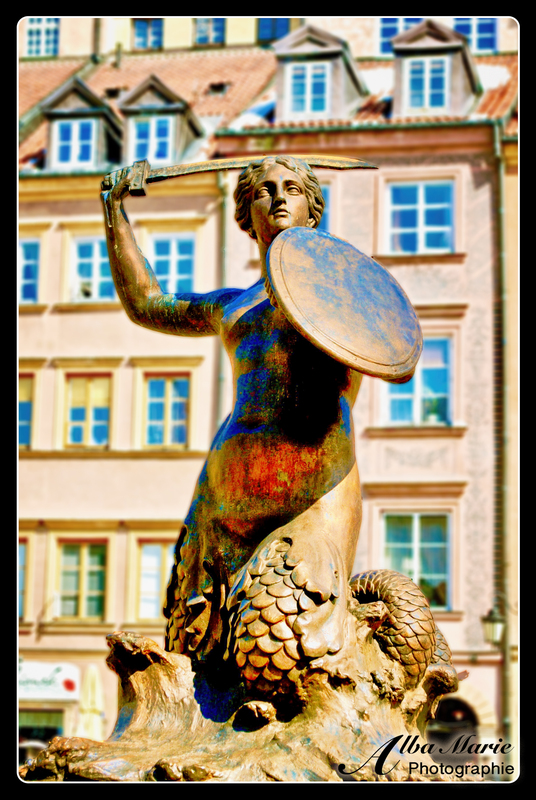 Completely unrelated to the mythical selkies of western Ireland and only loosely related to Copenhagen’s The Little Mermaid, the Syrenka, or Mermaid of Warsaw, is the official symbol of Poland‘s capital. Popular legend has it that while swimming by Warsaw, the Mermaid decided she liked it so much that she would stay. Local fishermen were frustrated with competing with her for fish, so they attempted to catch her, but like most mermaid stories, the men fell in love with the mermaid’s song and let her free. She was then captured by a wealthy merchant, but upon hearing her cries, the fishermen rushed to her rescue, and ever since, she’s been a warrior mermaid armed with sword and shield ready to protect Warsaw. A lesser-known version claims that the mermaid came to the rescue of a lost prince and he founded Warsaw in her honour. A final version and tie-in with Copenhagen is that the Danish Little Mermaid and the Warsaw Mermaid are sisters from the Baltic Sea, separated by their respective capitals. No matter which legend you favour, the Mermaid remains Warsaw’s symbol and protector, and there is a small but lovely statue in her honour in the centre of the Stary Miasto (Old Town square) for visitors to pay homage to the city’s protector. Caught up in Cold War era stereotypes of a cold, grey Poland, most people don’t realise that Warsaw has surprisingly hot and sunny summers. 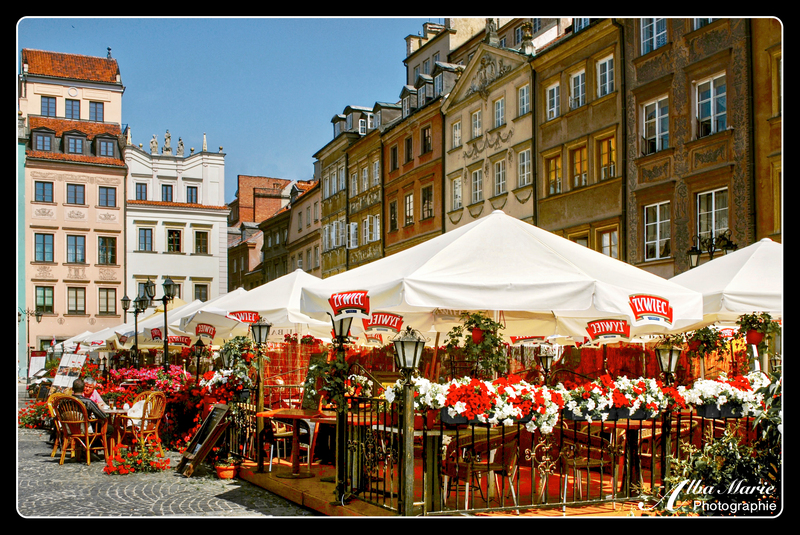 To get out of the heat but still enjoy the sunshine, Warsaw’s city centre becomes alive with outdoor cafes, markets, beer gardens, and terraces during summer months, such as these ones in the Rynek Starego Miasta, or Old Town Square, in the centre of Warsaw’s old town. (The same is true for the party boats on the Wisla River). Banners on the terraces promote a Polish beer called Zywiec, distilled in a town of the same name in southern Poland near the Polish Tatra Mountains. Nationalised after the war and today part of the Heineken group (one of the Big Five breweries), the Zywiec Brewery was once owned by the famous Hapsburgs, who sued for copyright infringement after the fall of the Berlin Wall and communism. Zywiec is still a point of national pride for the Polish, and is one of Poland’s most delicious beers. A pint is best enjoyed outdoors in Warsaw’s city centre, as Warsaw slowly becomes known across Europe for its restaurants, cafes, festivals and nightlife. For outdoor terraces, grab a drink in any of the bars or terraces in the old town. For cheap drinks hit up the so-called 4 zloty (1€) bars on Nowy Swiat Street. For fancy elegance, try the Hotel Bristol on Krakowskie Przedmieście Street, and for gritty student nightlife head over to Pawilony Street hidden behind Nowy Swiat. The hipster bar/club Plan B in Plac Zbiawciela or nearby Czech bar U Szwejka for enormous and cheap beers are also two favourites. There are also plenty of good bars in the up-and-coming Saska Kepa district or the still-seedy Praga district. So many choices, eh? Warsaw is not a city to lack for watering holes, that’s for sure! Normally, the clock strikes noon with a chime or a tock. But in Poznan’s town hall, the clock strikes noon with a bugle call and a fanciful display of head-butting goats (hence the playful colours chosen for the photo). Ok, what’s going on? To understand this display, we must first take a step back. 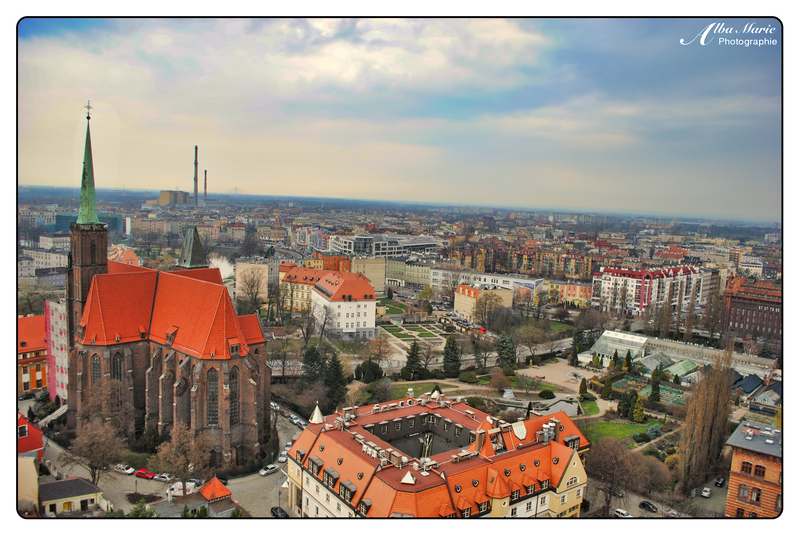 Poznan is a mid-size Polish town half-way between the capital (Warsaw) and the German frontier. The town hall was originally constructed around 1300, and suffered fires, lighting strikes, major reconstructions, and more. The goats and bugle came into being in the 1550s, each supported by their own legend. Legend has it that the lord of the voivde’s cook (a county or province) burnt the venison and tried to rectify (or hide!) this mistake by replacing it with a stolen pair of goats. The goats being, well, goats, escaped and climbed the layered facade of the town hall, where they provided comic relief for the whole town (including the banquet guests). The spectacle was so well received that the lord pardoned the cook and commissioned the clock. As for the bugle element, legend has it that a boy found an injured crow in the tower and nursed it back to health. It transformed into a gnome (welcome to Polish folklore…! ), gave him a magical trumpet and told him to play it in times of need. Many years later, the boy was now the town trumpeter, and witnessed an invading army, so he blew his magic trumpet, and an army of crows swooped in and got rid of the army. So they added a bugle to the goats’ display (not unlike the story of Krakow’s trumpeter). The legends may only be stories but the clock itself is quite real, and the stories themselves are well embedded into local culture – well worth the trip to this quietly vibrant Polish city. Sometimes you just need a place to cheer you up – something that the city of Wrocław (pronounced Vraat-swauve), snuggled in the southwestern corner of Poland, does quite easily. 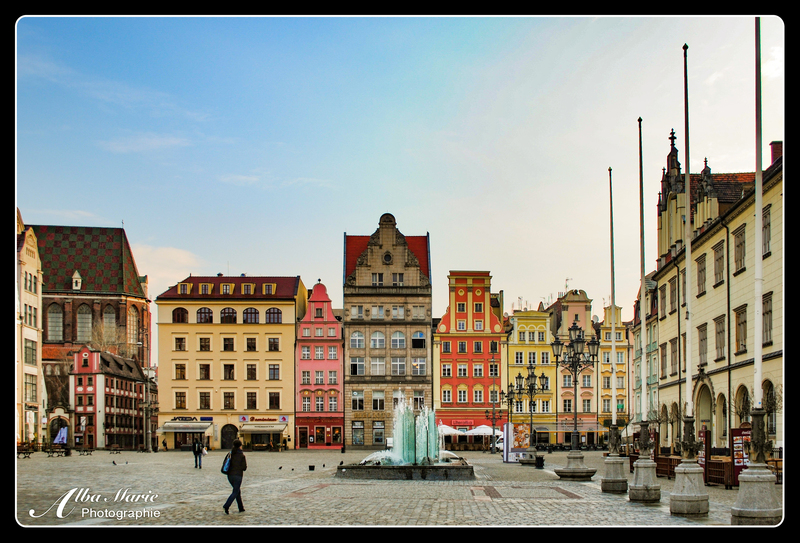 From the circular, room-sized painting of the Battle of Racławicka to the colourful city squares to the funny little gnome statues hidden around town to the cheery student dive bars, Wrocław is one of Poland’s most enjoyable cities where fun and beauty are the currency. One of Poland’s biggest student cities, Wrocław is a city where anything goes. Enjoy the view of Ostrow Trumski, the cathedral complex on the other side of the Odra River before joining the innumerable number of students in the city’s parks and terraces for a cold beer and an afternoon picnic. The most magical part of the day is sunrise. Some will argue that it is actually sunset, and while a sunset is beautiful in itself, sunrises often exude more beauty simply because, like a leprechaun, they are so rarely seen. If you can rouse yourself from bed at least once while travelling – or if you are required to due to an early bus/train/plane departure – take a few minutes to appreciate the soft, glowing light at the start of another day. The best way to do that is to find a place where you can sit down and enjoy the rising sun – a hilltop, your balcony, a local lake or river, a charming cafe, or in this case the market square. Settle down with a steaming cup o’ joe and a tasty local breakfast as you watch the world come to life. 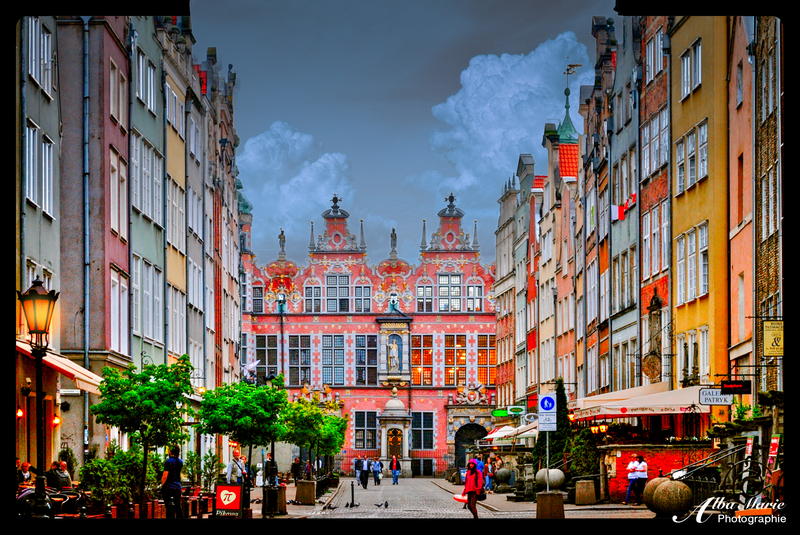 In Wrocław, enjoy the stunning colours, silent air, soft light and intricate facades of the spacious rynek (main square) before the day’s crowds begin to fill the plaza. One of Poland’s most spectacular cities, Wroclaw does not lack for attractions – aside from the rynek, visit pretty Ostrow Tumski or Cathedral Island, the adorable gnome statues scattered around the city, the stunning circular Racławice Panorama (a 19th century panoramic depiction of the Kościuszko Uprising, miraculously hidden and saved during WWII), the massive pile of stone that is Centennial Hall (a UNESCO site), and any one of the number of snazzy restaurants and bars in the city centre, many of them inspired by the dense student population. As an added bonus, as the year draws to a close, it’s your last chance to visit Wrocław while it is an official 2016 European Capital of Culture (which is not to say that a 2017 visit won’t be just as amazing…). While seeing Wrocław at sunrise is enchanting, the city will continue to enchant you all day long! When people talk about the ‘Great European Capitals,’ they tend to think of the Big Four: London, Paris, Rome, Vienna. Sometimes Madrid, Berlin, Copenhagen, Stockholm, Amsterdam and Brussels occasionally get tossed in. In Eastern Europe, Budapest and Prague come to mind. But what about the rest? What about the other capitals that apparently don’t make the cut? The EU currently has 28 members – meaning 28 capitals – and the European continent has 51 countries (if the Caucuses are counted, which it seems now they are) – meaning 51 total capitals. So, what about the other 39 capitals that get ignored, that aren’t considered a Great European Capital? Warsaw is one of those capitals, forgotten on too many itineraries, forgotten to be considered ‘great.’ I suppose this comes from the bad reputation spurred by the war, not to mention the communism that followed. But all that is past now, and Warsaw is – and deserves to be considered as – a Great European Capital. For one, it is beautiful. The Old City has been reconstructed the way it used to look, with as much historical accuracy as possible, now recognised by UNESCO. It is cosmopolitan, and home to Poland’s best universities. The people are absolutely great, welcoming towards foreigners and with a spectacular command of English. Beer is cheap, and the parties are all-nighters. Food is cheap too, not to mention hearty and filling. Warsaw also has a surprising art, music and hipster scene. And the Poles are very proud of their heritage. So, let’s not forget Warsaw, because it’s pretty great too. PS – did I mention there’s a mermaid in the bottom left-hand corner of that photo?! Whether you are a football fan or not, you have to admit that this is a pretty cool stadium. For one, it’s quirky, it’s funky, it’s colorful. Stadion Narodowy is even a tourist architectural attraction in of itself. Comprised of a weave of the Polish national colors, the new stadium was a way to shake up a little national pride for the country. Even better, it was built for when Poland co-hosted the 2012 UEFA Euro championships – which instigated a city-wide campaign to “clean up” (or ‘fix up’) the city. Everything from metro stations to public squares to the river bank was improved, and by the time I arrived in mid 2012, the city was glistening. To this day, the city is lively, vibrant and beautiful – and during match days, it becomes even more lively than usual, so much so that supporters must leave the stadium and cross the bridge on foot! A Polish wedding is one experience not to miss in Europe. In fact, one of the best things about a Polish marriage is that anyone can participate, in a way. Obviously, being a very Catholic country (arguably the most Catholic country in Europe…), there is a traditional church service, and like all Western weddings, there is a reception afterwards in another venue where the guests eat, drink and be merry. But what’s fun is that in between these two events, the bride and groom walk around town with their entourage, in order to take photos but also in order to let the whole town see them in their wedding finery and offer their congratulations. 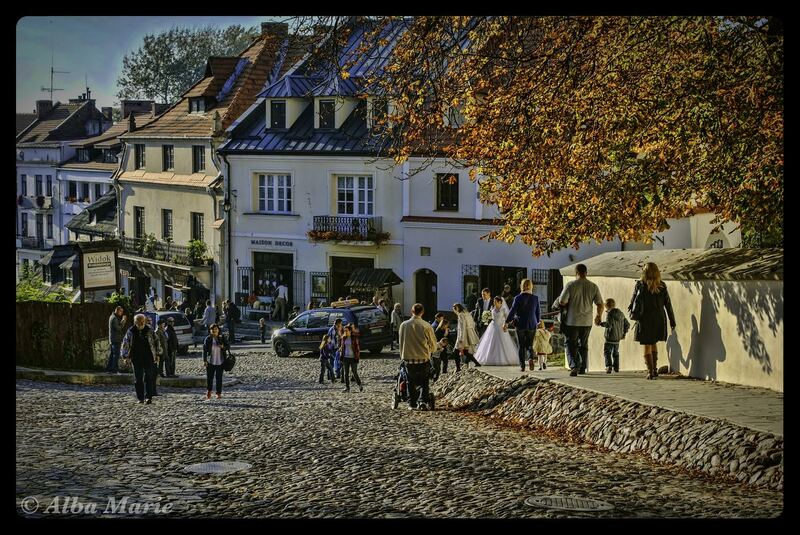 This particular wedding was in Kazimierez Dolny, a beautifully preserved Medieval town about 2.5 hours east from Warsaw. 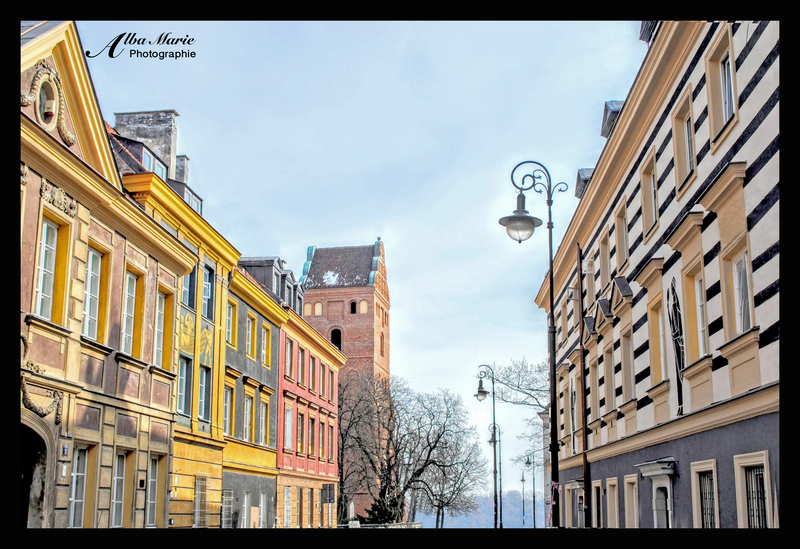 Untouched by the wars that plagued most of Poland, Kazimierez still has cobbled streets, Polish Mannerist facades, Gothic churches, a colourful rynek (main square), vibrant parks, a tree-lined riverbank, and a crumbling castle up on the hill. For these reasons, it has attracted all manner of artists and artisans. The main square is full of paintings, drawings, sculptures, baskets, food products, jewelry and other handmade crafts for sale. The artists and artisans themselves chat and joke with each other, the tourists wander by with their cameras, children play with a football in a corner of the square, and the terraces are full of people drinking coffees or beers. But as the starry-eyed newlyweds walk by, everyone stops what they are doing to take a minute to cheer them by. One of Poland’s 16 voivodeships (or provinces), Łódźkie is one of the most rural. The capital is Łódź, and unless you really like cinema schools or urban decay, it’s not the best way to see Poland. However, exploring the surrounding countryside feels like a step back in time. Relatively little has changed in rural Poland. And in a way, this is a comfort; globalization has not overtaken every inch of the earth! Here, people going on living simple, quiet lives. Despite the fact that you will need either basic Polish or a firm grasp on sign language to communicate, these countryside folk are some of the nicest people you will meet. The roads twist and turn through flourishing fields between unchanged villages. Thick woods hide rugged paths and sacred springs. Animals graze lazily alongside puttering tractors, chickens cluck in the garden, and dusty cars meander through the countryside, passing ancient wooden barns and old stone farmhouses. No one is in a hurry; in fact, villagers stop to greet or chat with one another. Life is always being appreciated and little seems to have changed in a long time. Hopefully, everyone out there is pleasantly enjoying the holiday season (snow or no snow…), and looking forward to New Year’s Eve tomorrow. For the (finally!) chilly day, let’s voyage deep into Eastern Europe, to the small city of Lublin, located in eastern Poland about 100 kilometers from Ukraine. 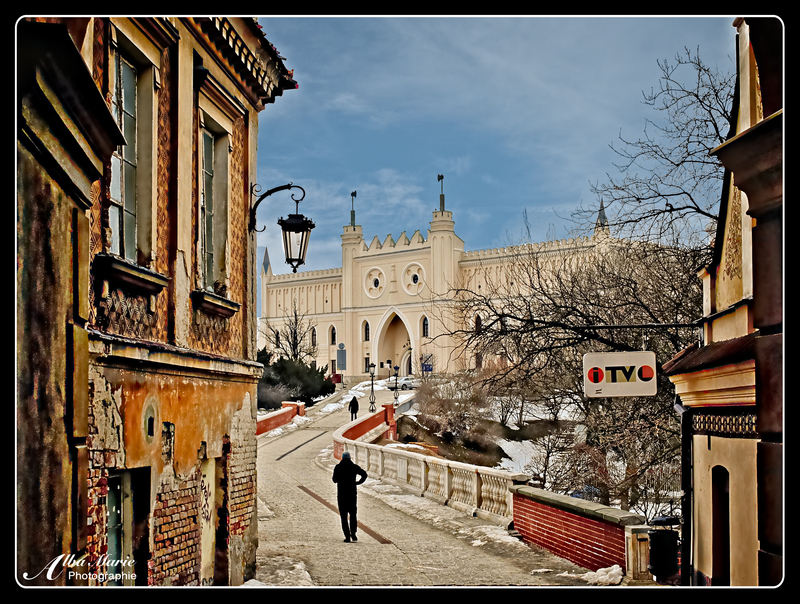 Very different from its western counterparts, Lublin has a long history of changing nationalities, wartime destruction and harsh climate impacts. Far less money has gone into this eastern city as western cities (such as Warsaw, Wroclaw, Poznan, and Gdansk), and it has slowly begun to fall into silent disrepair. However, much like a crumbling ruin long beloved by the 18th- and 19th-centrury artists and poets, Lublin has done so in a gracefully, romantic way. This cold, dreary little town is somehow charming because it IS a cold, dreary little town. In some ways, it feels almost more traditionally Polish than modern Warsaw or charming Poznan, than student-filled Wroclaw, or the cultural stronghold, Krakow. In some ways, it feels like taking a trip backwards through time, to another era, to another land. The winding streets and the bizarre white castle seem to be peeled off pages of an Eastern European guidebook. Everything about Lublin feels more authentic–from the thick beer to the steaming pierogies, to the soft snow to the uneven cobblestones. As the wind rustles your hair, head inside tiny restaurants for some of the best pierogies you’ve ever tasted, and reflect on the long past of this once-majestic place. Ignore everything you know about Poland. Grey, miserable, poor, cold. Throw these ideas out the window because they aren’t true. 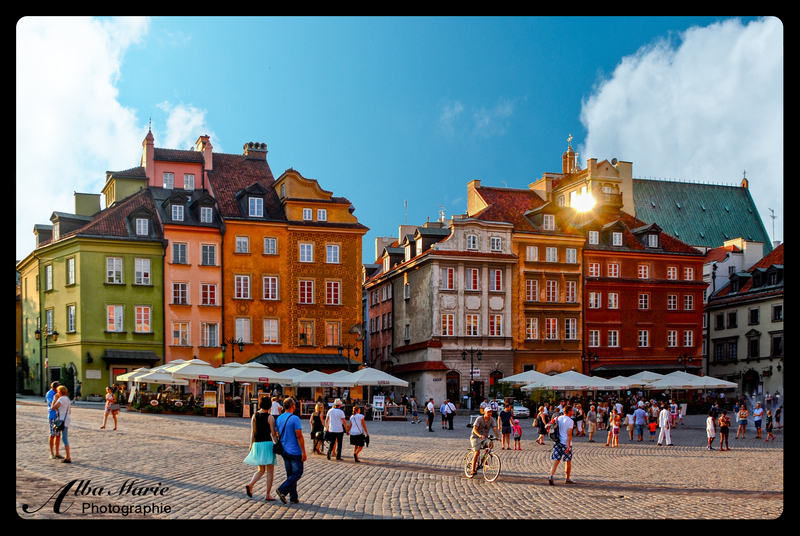 Some of the most colorful city centres in Europe are found in Warsaw. Some of the most vibrant nightlife is found in Poland. The Polish capital is a lively place, day or night, hot or cold. Whether there is sun or snow, the Polish are always out and about in their city. Do you like beer? How about vodka? Ever tried pierogis? What about kasza or pickles or borscht? Food in Poland, while maybe lacking in the spice department, is hearty, filling, and best of all, cheap. Both Polish beer and vodka are awesome. There’s many beers, but the main ones are Tyskie, Lech, Okocim or my favourite, Zywiec. Warsaw’s bars are largely concentrated in the old town (above), Krakowskie Przedmieście or Nowy Swiat (the streets leading off the old town). The ‘grungy’ place to go out for a beer is Pawlowy, a ‘beer street’ hidden just behind the main avenue. But no matter where you go in Warsaw, you’ll always find good Polish drinks! The advantage of going out in the old town is that the architecture and the scenery are pretty nice too! Ah rural Poland. A remote cabin in the woods, sun seeping through the breaks in the trees, leafy green branches clinging to sturdy trunks. 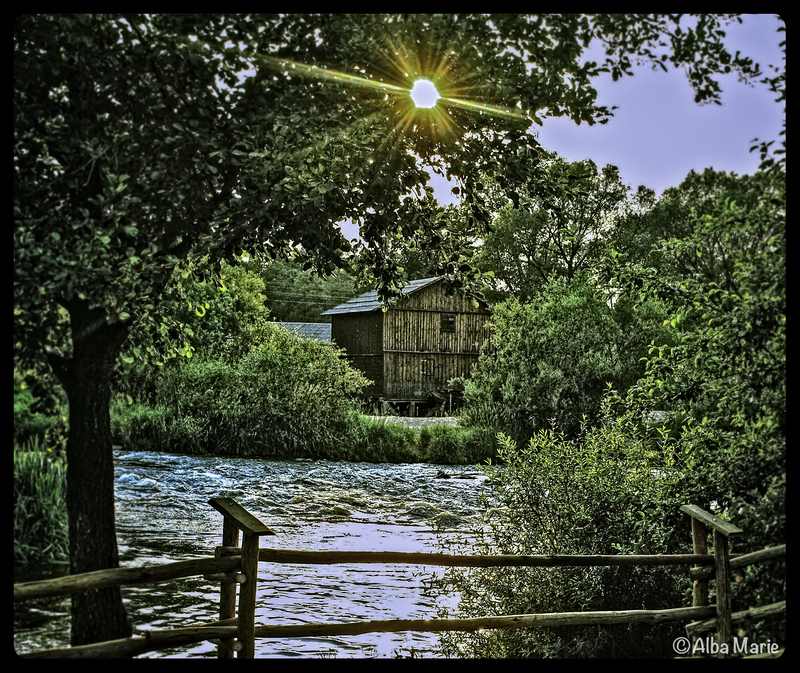 A stream trickles along its path, hugging the corner of the wooden cabin. It’s homey, romantic and even desolate all at the same time. The Polish countryside, like much of Central/Eastern Europe, was destroyed and left to be reclaimed by nature after the war. 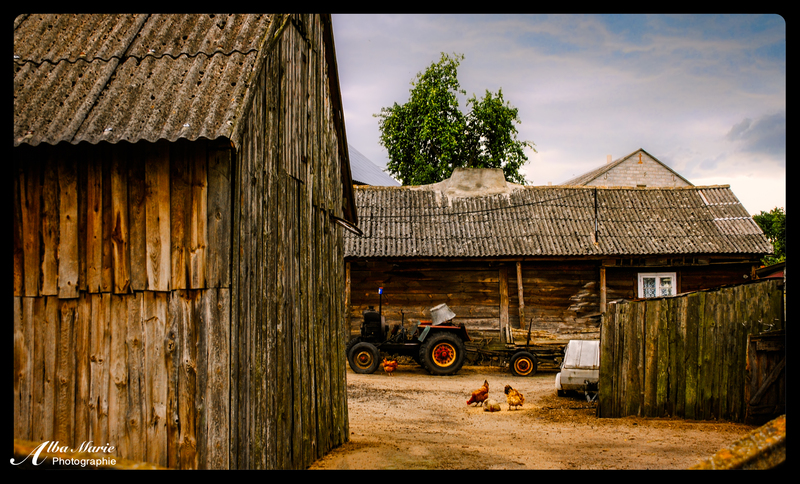 The countryside in Europe varies greatly between regions, but in rural Poland, snug cabins, little wooden farms, grazing livestock and dusty towns are quite common. Typical countryside roads whip ancient, faded cars around farms and over hills, taking drivers on the “scenic route.” Despite limited resources and roundabout roads, rural Europe holds a certain charm. It is here you will find the cheeriest, kindest people. It is here you will bathe in soft sunlight to the chorus of birds while relaxing in mountains, forests and streams. It is here you will feel connected to both nature and the local population at the same time. 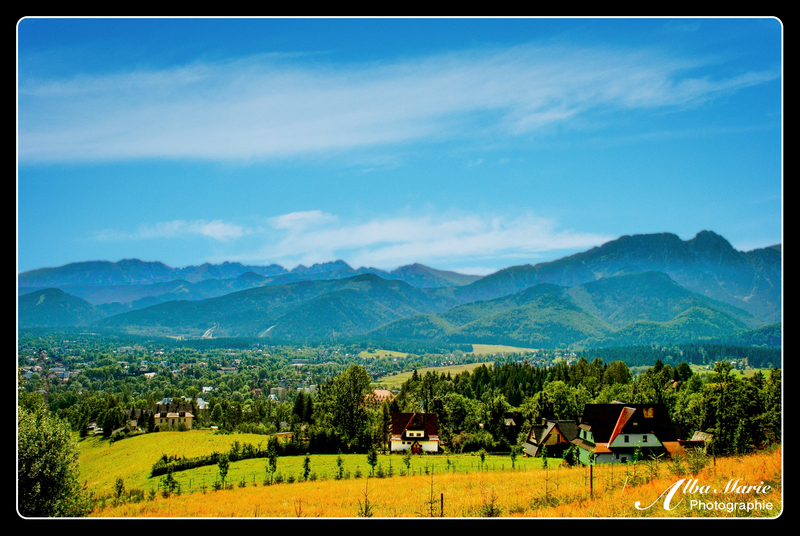 Wherever you choose to go, don’t hesitate to leave Europe’s great cities behind for a petit sejour in the countryside! Whether searching for solitude, inspiration, relaxation, or a remote romantic getaway, rural Poland will not leave you disappointed. Head back in time to the long-lost epoch of horse-drawn carriages in Poland’s charming capital. 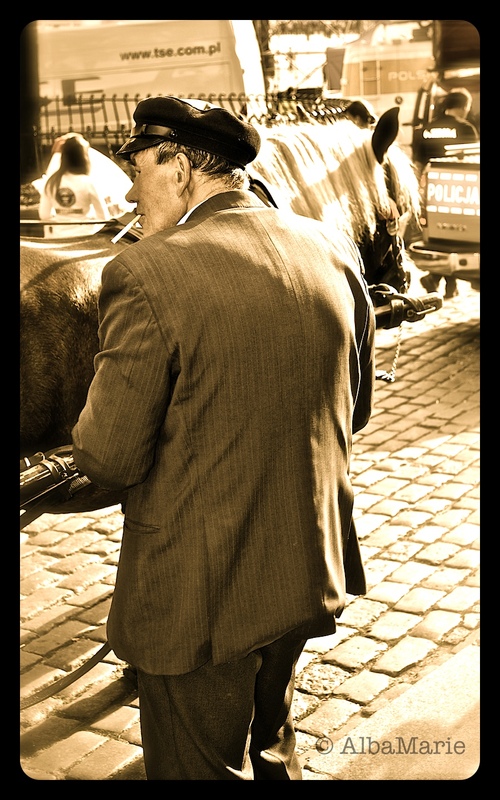 Whether you take an old-fashioned cab such as this or navigate the narrow, windy streets or Warsaw’s Stare Maisto (old town) by foot, you’ll feel as if you left behind the 21st century. Duck into a post-war Milk Bar where you’ll find traditional Polish food for mere pennies, step into the rebuilt (though you’d never know it) royal palace for a view of what royal life was like, or even walk into one of Warsaw’s many churches to experience the religious side to Polish culture. Listen to cheerful street musicians, bite into a savory Polish crepe, stop by a bar for a quick pint of Żywiec or Tyskie, enjoy a trolley-ride on one of the city’s old-fashioned trams, or even just wander the streets in silence. Whether sunny or snowing, cold or warm, there is always something magical and nostalgic about the air in Warsaw’s Stare Miasto!